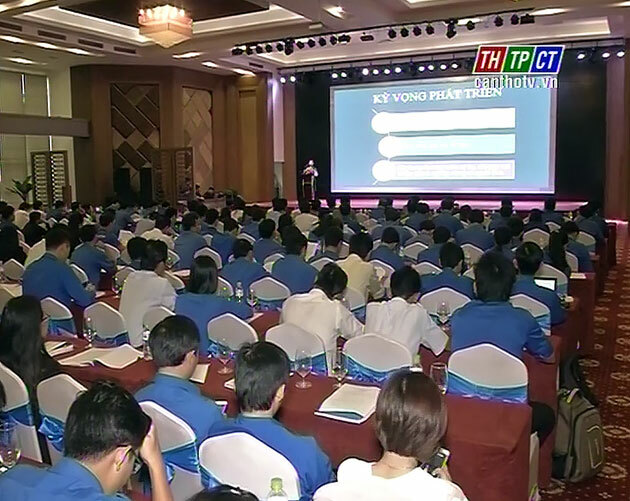 On July 17th, the 2nd working day of the National Congress of Academic Cadres of the Youth Union in 2015-2016 school year organized by Hồ Chí Minh Communist Youth Union Centre in Cần Thơ city, many opinions and specific solutions were actively shared for deeper and more practical movements of Youth Union at schools. At the congress, delegates said that in the past time, the recruitment of high school students and career giving activities have been limited, resulting in the unemployment among graduates. Movements of the youth union have not been widely publicized, as a result, not many students participated in these movements. From these limitations, in 2016-2017 school year, the Youth Union Centre, the Education and Training ministry will build joint action programmes, movements in which focus on educating ideology, ethics, lifestyle and legal knowledge for students and will direct grassroots youth unions to raise quality of meetings of the youth union. Regarding objectives for 2016-2017 school year, delegates agreed that 100% of grassroots youth unions will register and implement works in celebration of the Congress of Youth Union, organize and reward for scientific researches conducted by youth union members, give advice on career for 1,5 million students, youth union members, raise at least VND 150 billion for poor but good students and mobilize 10 million members to join voluntary activities launched by the youth union./.